Add a fresh, modern look to your quilts by machine quilting with straight-line designs including large- and small-scale crosshatching, plaids, argyle, radiating stars, stacked squares, circuit board and much more. 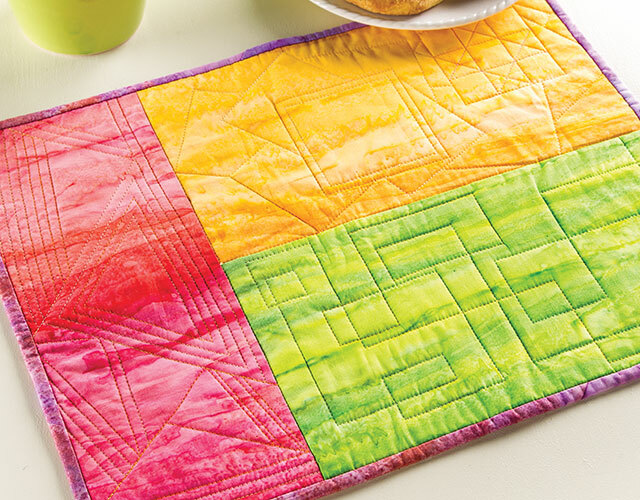 Machine quilting is a fast and satisfying way to complete quilts on your home sewing machine. 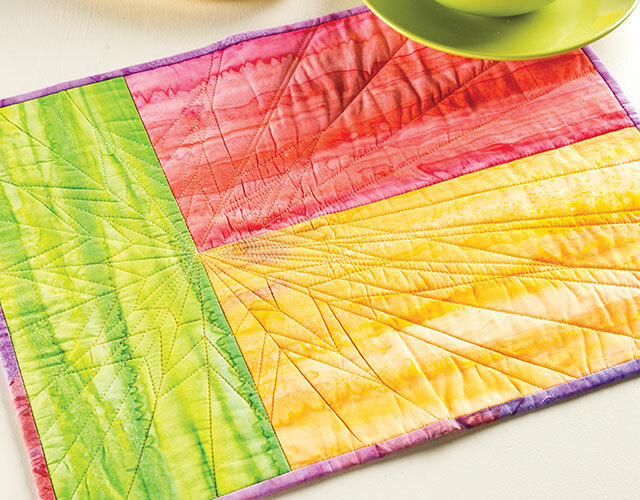 Whether you're new to machine quilting or already comfortable with basic straight-line stitching and ready to take it to the next level, straight-line quilting techniques are excellent skills to have. 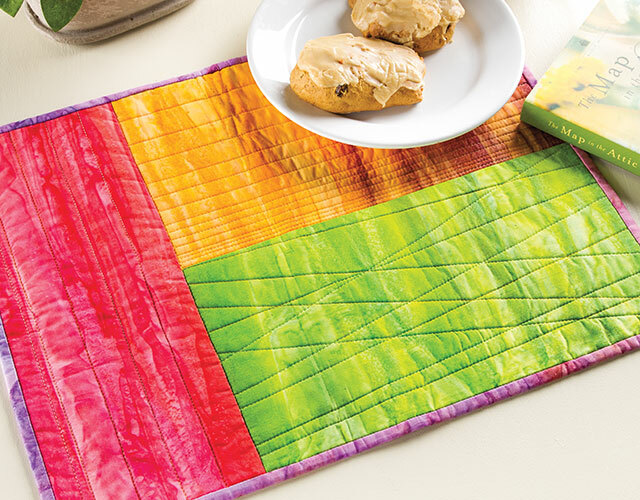 And, they are essential for giving a fresh, contemporary look to your quilts. Expert machine quilter Wendy Sheppard teaches many unique and versatile straight-line patterns and techniques in this online class that you can apply to large and small quilt projects. 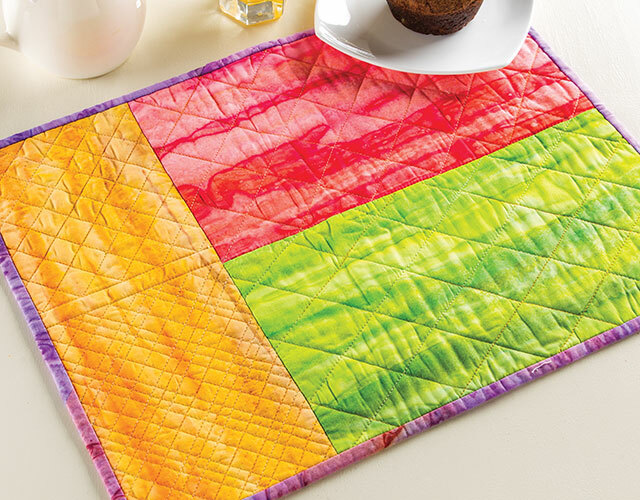 Mark projects for straight-line quilting. Take your straight-line stitching beyond stitch-in-the-ditch. Achieve striking, modern effects with versatile straight-line designs. Quilt large- and small-scale crosshatching, plaids, radiating stars, stacked squares, circuit board and many more modern straight-line designs. Complete the class project, Modern Art Place Mats. Apply the techniques learned to large-size quilts. Class includes complete instructions to make four exclusive place mats in the Modern Art Place Mats pattern. I liked this class very much. I learned new skills for quilting, Love the way the teacher explains and shows how to do the designs. I will purchase the 2 nd class from this teacher for sure. This class is great I love this instructor. She is so precise and she makes so easy. Love the class can not wait to going on it. I thought the class was ok. I felt that there was a little too much actual sewing. The sewing of almost the entire item was rather boring. The instructions were very clear, but again, too much actual sewing. I thoroughly enjoyed the class and look forward to revisiting it from time to time. After seeing the videos, I purchased the beginner free motion quilting class which I've not finished watching. I've picked up tips along the way. Wendy has a great manner and explains herself well. She's sewing on a Bernina which also helps me for I just purchased a new one with a stitch regulator. I WANT to free motion quilt with ease and I'm practicing all sorts of things suggested by Wendy, but also things from other videos I've seen on line. I'm realizing at last that my thread should be 50 to 60 weight. I learned that my Bernina has a way to secure the stitches at the beginning and at the end of quilting. I had not read that in my manual nor had I learned that in the tutorial that I took regarding the machine. (Though I expect it was taught. I think I was overwhelmed....) I appreciate how Wendy emphasizes that straight line quilting with a walking foot can give beautiful results to a quilt. Her artsy place mats really are good examples of that. So, thank you, Wendy for your help!